One does not know a single person who hasn’t a story involving those favourite paid of denims in their closet. Memories are written in certain denims and so we treasure them way after they are wearable. Here is the iconic brand Levi’s making the most of this sentiment. What my Levi’s jeans mean to me? What did I do in them? How long have I owned them? What do I plan to do with them? Engaging content that consumers can create very easily. The campaign has kicked off with Levis teaming up with musicians, tattoo artists, barbers, street performers and bloggers to show how they live, work and play in their denim. 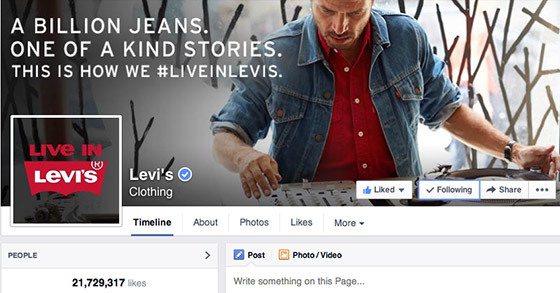 It goes on to invite people to share their own stories of their Lives with Levi’s. Jennifer Sey Global CMO Levi’s: “Live in Levi’s” weaves product seamlessly into the brand concept, into the conversation that consumers engage in with our brand. That was our primary goal—to put product at the center of the story. The concept is all about what people do in their Levi’s which allows us to tell endless product stories. The smart part of the campaign is the easy access to the product. The consumer can explore each individual story by accessing videos, photo galleries, product information and links to shop the looks. It blends storytelling with social media and e-commerce to gives consumers a chance to interact with and buy the product online. Since there aren’t so many stories out there yet, the verdict about the success of the campaign is awaited. But one does stand to question the ambition to use the ‘Live-in Levi’s’ campaign (that is also a display of the Fall Winter 2014-15 collection) to reinvigorate the Levi’s brand’s soul. Seems bold to depend on a consumer response based campaign for brand revamp. 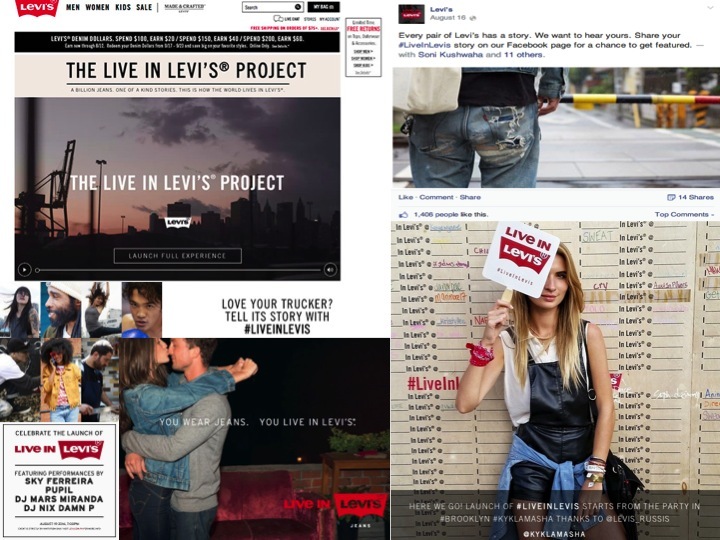 This entry was posted on August 21, 2014 by thebuystories in Customer Experience Management, customer stories, insights, Shopper Marketing, the power of stories and tagged brand storyteing, brand storytelling, buy stories, customer stories, Levi, Levi's, Levi's denim stories, Levi's jeans, Live in Levi's project.